Whether you are planning a game night for your friends or want games to play with a bunch of couples, these ideas can get your started. There are more things to do on the weekend than hitting the clubs or bars. For an interesting, enjoyable weekend, plan some of your favorite games. Just make sure to stock up on snacks first! Plan ahead. Some of these games to play with friends require additional props, so make sure that you are prepared in advance. You should also make sure to clearly describe the rules so that everyone knows how to play. If it does not seem like the group is excited about playing the game, move on to the next one. The main goal is to have fun, so mix things up, change games and improvise when you need to! This interesting game to play with friends is fairly easy to set up. If you have the time and materials, you can even set up the room like it is a television game show. Basically, the game revolves around answering questions about celebrities, music, television shows and movies. Each team gets a chance to answer the question and receive points during the game. You can set it up as a timed competition using buzzers. After the host asks the question, the first team to press the buzzer gets a chance to answer the question. You can also have the team lose points if they answer incorrectly to discourage participants from just racing to press the buzzer. Although it may not sound like much, this game is amazing at getting people to laugh and use their imagination. 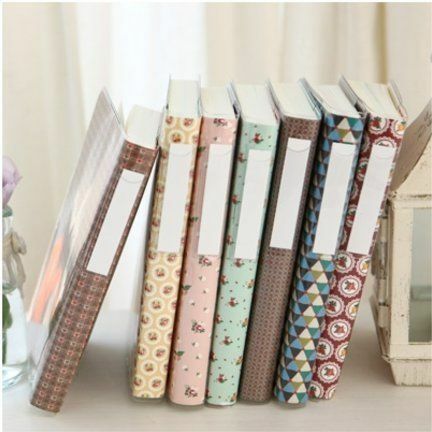 To start, you need to have a notebook or writing pad and a pen. Start with an amusing them and have the first person write out six lines of a story. Afterward, the paper gets passed to the next person for the story to be continued with another six lines. When every player has had a chance to work on the story, the great reveal is ready. Read aloud the story to the group—good luck on keeping a straight face! If you can manage not to laugh aloud while reading, you are a stronger person than I am! This game to play with friends is designed to be hilarious. Make every sit in a circle on the floor. Have them cross their arms, so that their hands lay flat on the floor. One person starts by patting the hand on the right of them. Then, the next player pats the next hand and so on. Any player can choose to do a double pat, which means that it is time to switch directions. If someone pats or raises their hand to pat when it is not actually their turn, they have to remove that hand from the competition. The last person with a hand in the game wins! 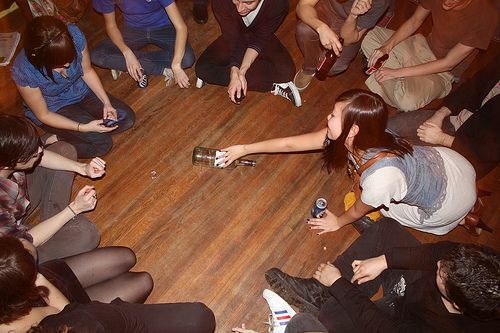 Everyone has seen or played the game spin the bottle. For a more modern, exciting remake, play dare to spin. The set-up is like traditional spin the bottle where one person spins the bottle, and the next person is selected by the direction the bottle is pointing. Whoever the bottle points at has to pull a single dare from a bowl of dares. This bowl is filled with dares (at least one per person) written by everyone at the party. Once you are dared to do something, you have to do it or you are out of the game. Last person standing wins! This game is a lot like musical chairs, and it is great to play with a group of friends who do not know everyone. Set up a circle of chairs with one for each person. Everyone can stand and move around the room until the postman calls. The postman could say, “Delivery! Everyone who plays a sport!”. Everyone who plays a sport has to exchange a seat. While they are moving, the postman grabs a chair so someone is left out. The postman can call out anything—who has a pet, a relationship or who is studying a certain subject. Get creative! 6. A . . . B . . . C . . . Go! This game is a remake of the classic game of Scavenger Hunt. Each team is given matching bags that are exactly the same size. The host of the game sets a time limit for both teams and gives them one of the letters of the alphabet. Afterward, the teams have to find an object that starts with that letter. Whichever teams finds the most objects that start with that letter and fit in the bag, wins. For example, if the letter is “P”, the team could grab a pen, pencil, pretzels and similar objects. Are you ready to have some fun? This is one of the best games to play with friends because it will leave everyone in tears—plus, it is great for your more competitive friends. Divide your friends into partners. Each partnership is given one side of the bed sheet, and the other pair is given the opposite side. A ping pong ball is dropped in the middle. Both teams move the ping pong ball by raising or lowering the bed sheet. The goal of the game is to get the ping pong ball to drop off the other team’s side. If you have a number of friends playing, you can always set it up as a tournament! In this great icebreaker, you will learn more about your friends than you ever knew! Three cards are placed in front of the player. Two say honest, one says not. The player is asked a question, and they respond based on what the card says. Everyone else in the group must decide if that person is telling the truth. If the individual is caught being dishonest, they must perform a dare. If they are not caught telling a lie, then the player gets to choose someone else to do the dare. Grab some random objects, a pen and a piece of paper. In partners, give one partner a paper and a pen. Give the other partner random objects in a bag. The person with the random objects has to describe them without saying what it is, while the other partner has to draw it. 10. Where’s My Cell Phone? After it gets dark out, have one person with a cell phone hide in the house. Everyone else has to find them. The group is given one phone. Periodically (you can decide how often as a group), the hider has to call and give the rest of the group. They are allowed to change their hiding spot, but they have to continue to give hints about where they are. Get a note card for every player in the game. One card says “murder”, another says “detective” and the rest say “victims”. Everyone draws a card. The “murderer” in the group kills victims by winking at them, and the only person they cannot kill is the detective. After two successful murders, the detective must guess who the killer is. The detective wins if he is right, and the murderer wins if the detective is wrong. On a table, place to racing tracks using double-sided sticky tape. Afterward, put a ping pong ball on the track and see who can move their ball along the track to the end first. Only a straw can be used to blow the ball along, so this can be a very tiring game! Gather a knife, fork, frozen chocolate bar, two dice and a dice shaker. You will also want some costume items like a cloak or mask. Each player rolls the two dice. Whoever rolls a double of the same number gets to try to eat the frozen chocolate using a fork and knife while wearing the unusual accessories. Whoever eats the most bites during the timed process is the ultimate winner. The game continues until the chocolate bar is completely gone. All of the players are put into two teams. In the team, the players write a theme related to a catch phrase on a piece of paper. When the catch phrase is drawn, it must be drawn on a big piece of paper for the other team to guess. Hurry up, though, because you will be timed! It may be an old school game, but capture the flag will never go out of style. Ideally, play this game outside for the maximum amount of room. Divide your friends into two groups. Each group has their own territory where they hide the flag (at least an inch of the flag must still be visible). Both teams try to find the flag on the other side, but if you are tagged in enemy territory, you go to jail. Someone from your team can cross into enemy territory to tag you and rescue you, but you will both have to make it back to your side to be free again. Whichever team gets the flag and brings it back to their side successfully, wins!